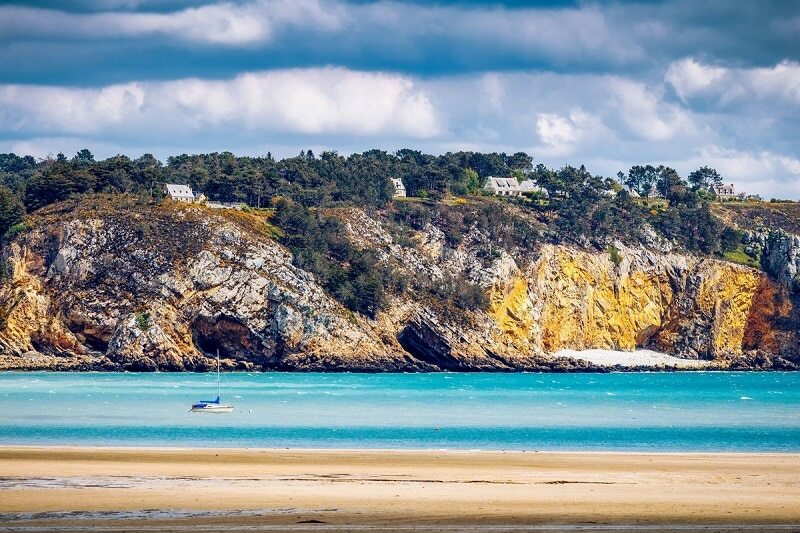 Bretagne is the second most famous beach destination in France. 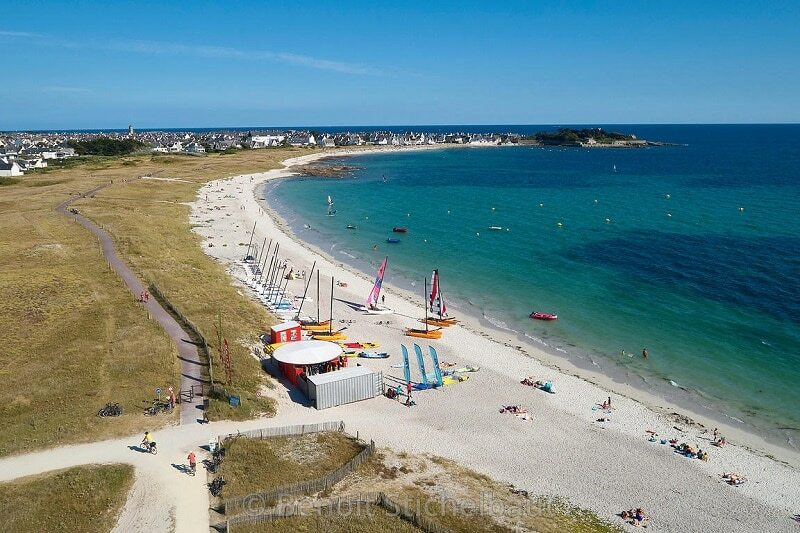 Most of the beaches in Bretagne region of France are packed with watersports activities, beach amenities, soft white sand and crystal clear waters. Thousands of visitors flock into these beaches especially in summer to make the most of their holiday. On the gorgeous island of Belle-Île-en-Mer, you can find the Baluden beach, which is off the coastline of Bretagne. Baluden is a favorite among the indigenes and visitors due to its location at the western side of the Bretagne. You can go there to experience the afternoon sunshine. There is a small parking lot located close to the beach and visitors will have to take a little walk to get to the coastline. While in Baluden Beach, you can head to a close by the bigger sandy cove, Herlin beach. Cap d’Erquy offers visitors all-encompassing views of the sea and its captivating surroundings. The emerald sea meeting the dunes and the picture-perfect surroundings, including its hills and emblematic purple stone makes this spot unique. People visit Cap d’Erquy to explore the beach from atop the hills and also to enjoy the natural beach from below. Trestrignel beach is known for its soft white sand. It is located in a protected place between two small peninsulas Pointe du Sphynx and Pointe du Château. If you happen to visit this stunning beach when the weather is favorable, you will experience an amazing view out above the Sept-Îles archipelago, as well as the isle of Tomé. 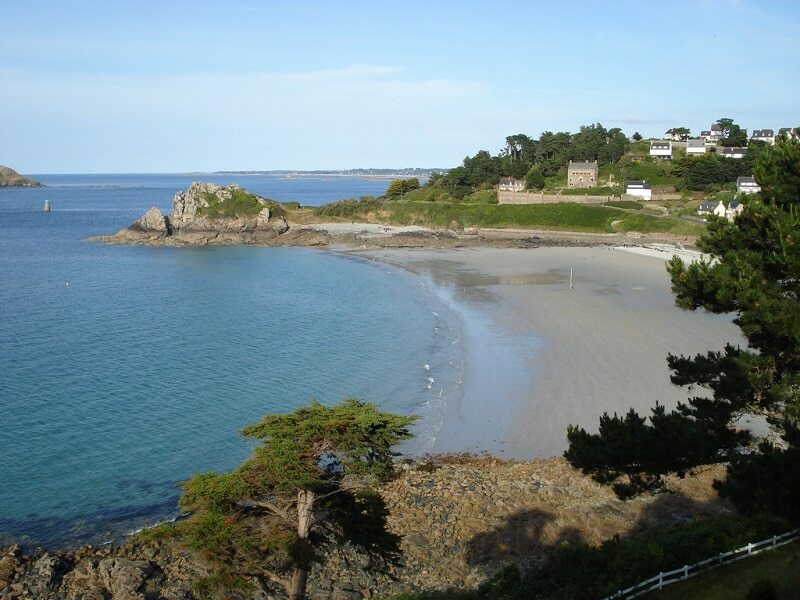 There are numerous striking beaches between the harbor towns of Le Guilvinec and Penmarch in Bretagne. 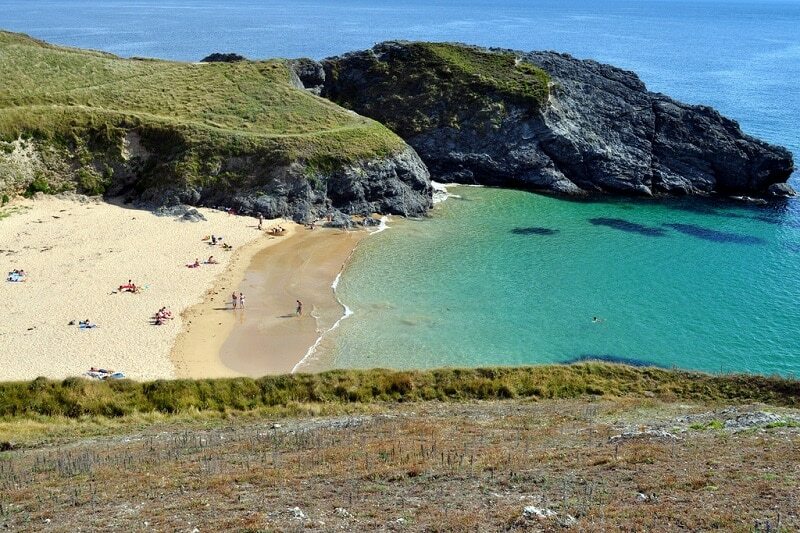 One of the beaches, Plage du Ster is a place you wouldn’t want to miss. It is a large stretch of sand and ideal for couples with their children. Gaining access to the Plage du Ster is very easy. Towards the eastern part of Le Guilvinec is Plage de Skividan, another beautiful stretch of fine white sand and clear water. Due to the large size of Plage de Skividan, it is usually not crowded. Furthermore, the walkways behind these beaches provide you with a strolling opportunity, where you can explore the natural lush environments. Known for its pink granite rocks, Saint-Guirec beach is located off the border of the picturesque village of Saint-Guirec. The cool beach is a sheltered place perfect for summer vacation. 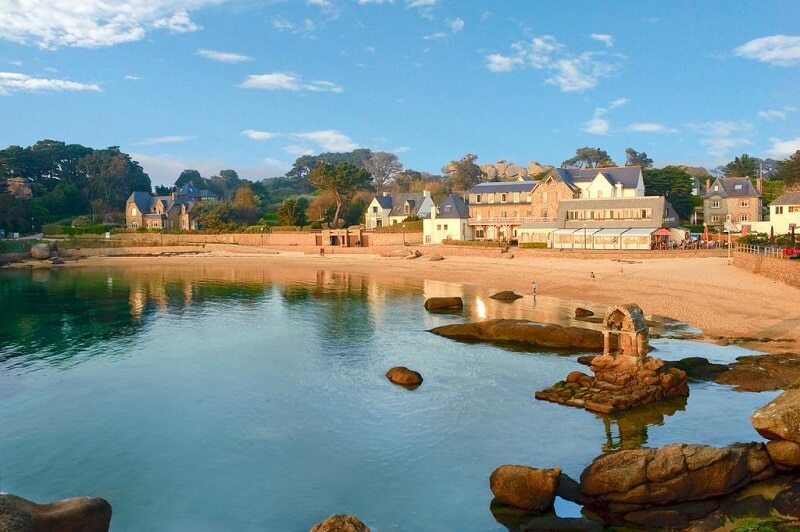 Saint-Guirec offers a family-friendly environment suitable for kids. This organized beach has amenities and relaxation spots that can make your stay memorable. Morgat is another beautiful beach in the region of Bretagne, France. Situated in the Armorique Regional Park on the peninsula of Crozon, Morgat beach offers over one kilometer of fine white sand with clear water. This beach is easily accessible as it can be found just behind the Morgat resort village. Ideal for lovers and families, this beach offers stunning vistas of the sea and its natural lush surroundings. You can engage in activities such as swimming, diving, etc. on the Morgat beach.